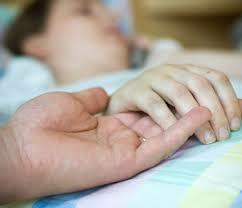 Finding a lawyer for a patient who has died due to medical mistakes can be tough. Let us help up you. You'll need a lawyer with a lot of experience in medical malpractice cases, representing families who have lost a loved one because of hospital mistakes or errors. But there is a lot more than experience (and we have tons of it) to consider. You may hear these tragic cases called wrongful death cases - and they are, but they are based on medical malpractice. And that is a much different, more specialized, and usually more difficult area of the law than a wrongful death case when someone dies in a car or truck accident. In fact, the District of Columbia has two types of cases when someone is killed by medical mistakes or another person's negligence - wrongful death and survival actions. There are similar differences in death cases in Maryland and Virginia as well - and we know because we've represented families in D.C., Maryland and Virginia when HMOs, hospitals, doctors or nurses have caused a patient's death. What else do you need to look for in a lawyer you are thinking about hiring for a serious case? Resources - these cases are expensive to investigate and litigate. They require multiple expert witnesses in different specialties, so make sure your case can be reviewed by some of the best experts from around the country. There is a lot of misinformation and slick advertising out there - so how can you make sure you don't wind up with the wrong lawyer for your case? Download our free Medical Malpractice Lawyer Evaluation Guide and start calling some lawyers and see how they stack up, before you even meet with them. Want us to send more info that will help? Just call us at (202) 393 - 3320 and we'll send it to you, free of charge, with no obligation.